Zach Bitter’s 100 Mile American Record of 11:47:21 is the Outstanding Male Performance of the Year. Bitter’s record – which works out to an average of 7:04.4 per mile – was set at the Desert Solstice Run in Arizona on December 14. Jon Olsen’s IAU 24-Hour World Championship win, where he recorded 167.568 miles was second in the voting. Olsen’s 100-mile time of 11:59:28 at the Ottawa Self-Transcendence Run was third. 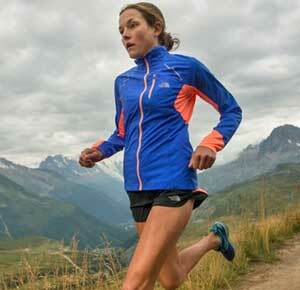 Rory Bosio’s win at the Ultra Trail du Mont Blanc was the Outstanding Female Performance of they Year. Bosio broke the course record by more than two hours and finished seventh overall in a field of 2300. She also beat the second place woman by more than two hours in Europe’s most important competition. Sabrina Little’s 152.03 mile American 24-Hour Record set at the IAU Championships was second, with Pam Smith’s 14:11:21 100-mile time at Desert Solstice taking third in the balloting.